The cost of living has been increasing from last one decade. Resources are getting scare day by day and demand keeps increasing constantly. Presently, inflation is in almost all parts of the world and is giving budget issues. People are working smart and are giving their respective organizations a good turnover. But, the pay which they get is not enough and even hike they receive are according to the company norms. Part time jobs are another way to make money, but after a long tiring day. It is hard to work for few more hours; we decide to work on weekends. Even that money is not enough for us. A phenomenal word which is right now buzzing around, in everyone’s ears is “Sharing economy”. An open source community network to help people share their commodities and earn through the online platform. One form of income will never fade out, even if we are seeking for a job or already have a job. A potential part of the community is self employed, who have a few doomed days. Owning a flat is the best investment we can ever make in our life. Renting out our houses will help us to earn more and is another form of income apart from our salary from our job. We rent out our houses on a lease or for a particular time, period. The income from this is variable and limited to make the ends meet. We have an option to choose to rent out our houses for a few days and make more money. So, a famous firm called “Airbnb” came up with this idea and launched a website for the people. It has reached millions of people around the globe and is progressing steadily. People can opt for staying in hotel rooms when they are travelling. But, they are opting for sharing rooms in houses; as it gives them the feeling of “feel at home”. Taverns are expensive, has less space, no much variation, all look the same. In online chain of home sharing, we get to meet new people, more space to move around, affordable prices and a completely new experience. “Air bed and breakfast” is ruling the collaborative consumption industry and is reaching heights. This service is available in 190 different countries and is expanding on a larger scale. The public is glad and contended about sharing their shack with the travelers from all walks of life. In the recent past, the most benefitted people are, the citizens of Canada and Tasmania, Australia. A survey found that people from the city of Tasmania were able to pay their loans with the earnings through Airbnb. 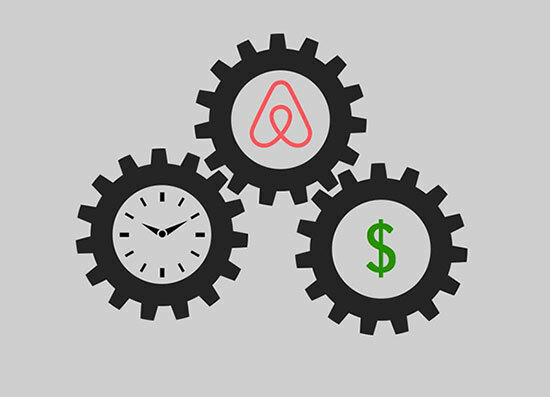 They have urged the law to give the rights to the people to host short term rentals. Almost, more than 80% of the population is in favor of Airbnb rentals without permit. The expenses for daily needs are skyrocketing right now in the city of Toronto and Vancouver. People are finding it hard to endure with the changes which are happening exceptionally. The taxes are increasing compared to the previous financial years and the recession is at its peak. The value of the Canadian dollar is declining seamlessly and is of no great help to the community. The organization collaborates with the online financial product comparator “Ratehub”. There was another organization which joined hands with Airbnb to give this offer to the people. “Narcity” which is a lifestyle company, it gives you information about your city and the events. “Airbnb” had launched a special service for the residents of this country. All they need to do is sign up with Airbnb and place at least one listing under their account. Subscribers will get a $200 cash bonus for their first guest listing on the website. This was valid only until August 31st, 2016; people who were eligible received $200 bonus into their account post the check in of the guest. Restrictions were set for the city people, who place their arena on the list. The location must be with 25 miles of Vancouver or Toronto. They had the option of registering themselves on the website from June 1st 2016 to August 31st 2016. This initiative has helped thousands of people who were able to pay off their debts with their banks. Unfortunately this was available only for the people from Toronto and Vancouver. There were many neighborhoods which started experimenting on this sharing of houses. Successful hosts followed a set of strategies to give the best experience to their guests. Each one of them had a different and unique way to follow, to keep their space serene. They made sure the quality of their service is good and at heart’s content. This helped in building strong relationships which could last for a lifetime. All seems to be interesting and comforting, but even it has its own cons. The first and foremost issue faced was from the law authorities asking people not to do short term rentals. There was a concern about the people in the neighborhood, when various persons blow in, at the host’s house. Complaints from the people in the ghetto started to pour in. There were damages done to the properties of the host. Thankfully, Airbnb has an insurance coverage, which we can claim, but for that the house should have rental insurance as well. Renting out our condos on precise time, period is considered to be illegal in a few parts. The host should have a permit to host their houses for sharing as rental with travelers. The rental without a permit is ranging from 6 weeks to 120 days, which is imposed by the law. There are few guests who come up late in the night and create predicaments to the people in the neighborhood. In most cases, the issue is that the landlord lives in a different location and rent out the houses in a different location. They are unable to keep a close watch on the guests. This leading to misbehavior of few guests and leading into legal issues. Airbnb is also facing another issue, people asking to pay the money off site. It is said on the website that they do not ask for money off the site. The only mode of payment they accept is through online transaction. If someone wants to pay in cash or in offline mode, they it would be against the rules set by the company. The firm has taken all security measures to keep the information of its users safe and secured. There is an encryption made for each user makes a payment in online mode. 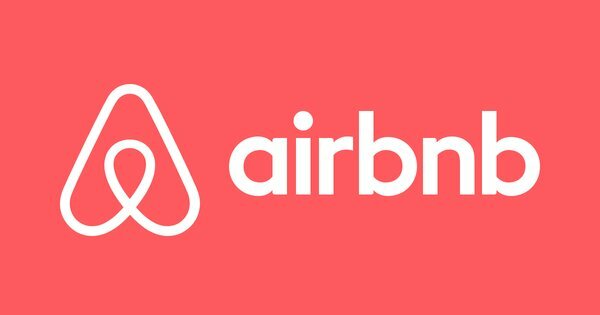 They are advised to pay only when they receive a confirmation message from Airbnb. The authentic usage of transaction of money between the host and guest is important. This is mandatory for all the customers; it will help them to avoid hoax requests. Otherwise it will create a big time lose and liability to the emcee’s and the travelers. Airbnb was established in 2008, it has been 8 years now. They started with selling cereal boxes to raise funds for their website. On the later note, they became the most famous organization, on peer-peer home sharing with the world. They have come a long way, fighting all the obstacles and has won the hearts of millions of people. Millions of people have benefited by this service, no more unemployment. If you have a room to share, just go Airbnb website, register yourself and now you have a job for yourself.